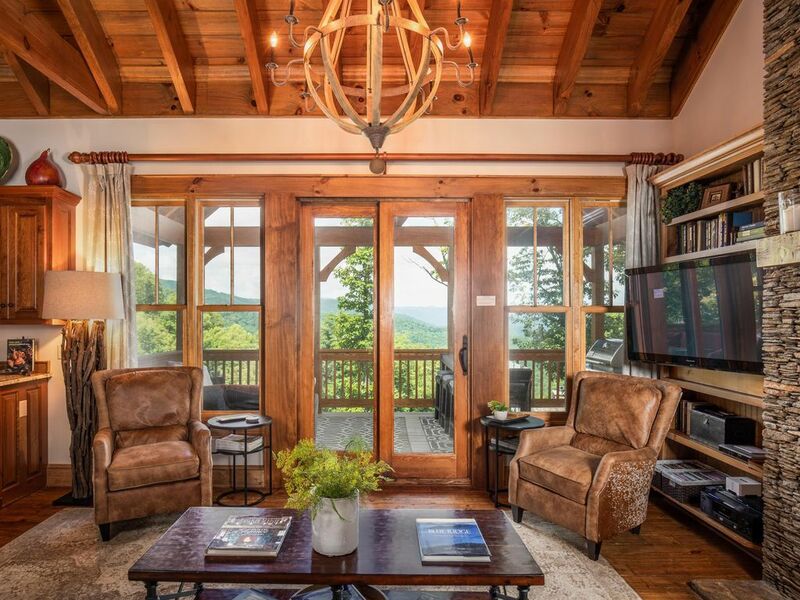 ABOUT BRMC COTTAGE - This beautiful two story custom built timber-frame cottage is located in the spectacular Blue Ridge Mountain Club (BRMC) gated community. BRMC offers an incredible new Clubhouse & Fitness Center (see below). 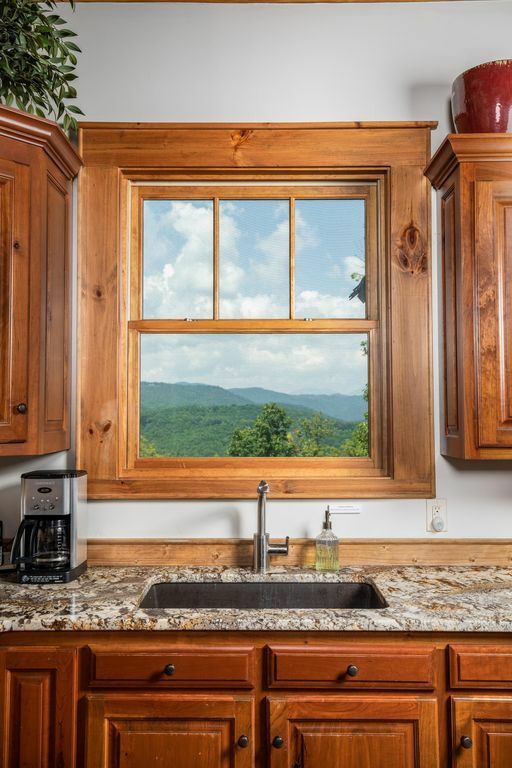 Perched at over 3,000 feet, with incredible long-range views, you will enjoy high country mountain living, yet are only 20 minutes equidistant from Blowing Rock’s charm and Boone’s conveniences.This newly built custom home will wow you from the moment you enter through the front door. 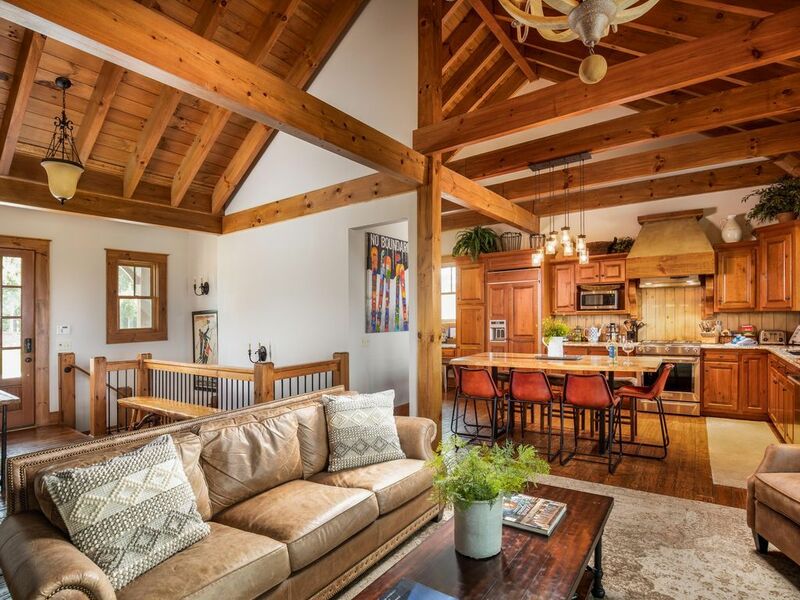 With high timber ceilings, hand-scraped hardwood floors throughout, two story stone fireplace and expansive views from every room, it is the best luxury has to offer. 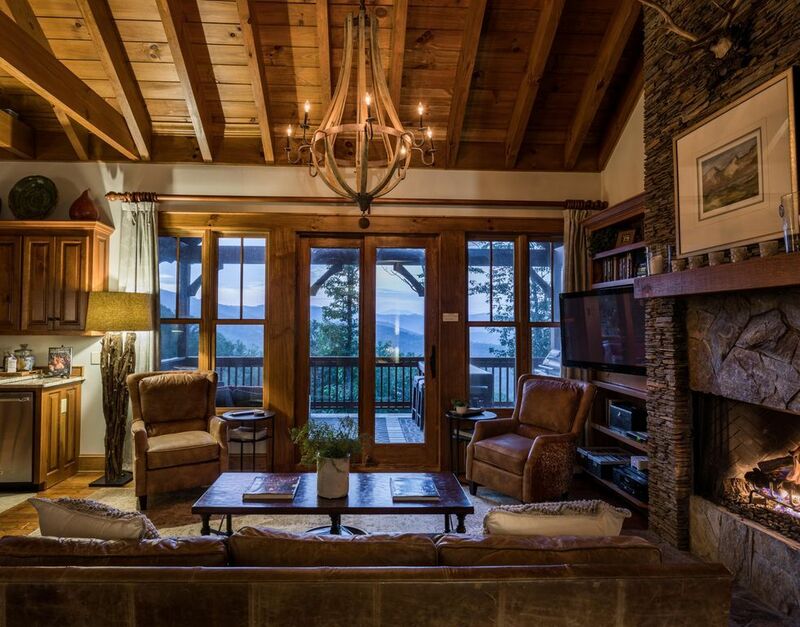 Professionally decorated with lodge furnishings and inviting artwork inspired by the undisturbed mountain setting. The main level includes a master suite, great room, kitchen/dining, large expansive outdoor deck, half bath and laundry room. The lower level features an additional great room, wet bar, second master suite with bath, guest suite with bath and “captain’s quarters’ additional sleeping room, and expansive outdoor deck with hot tub. 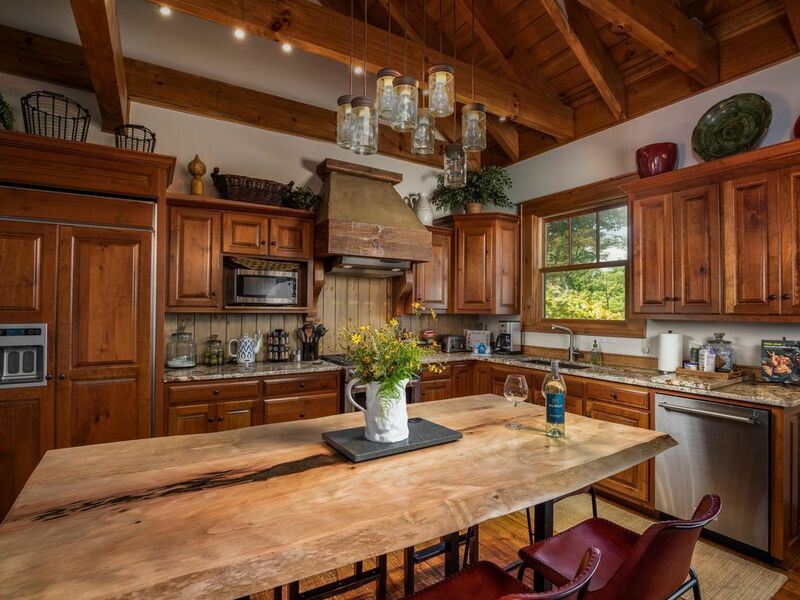 GREAT ROOM/KITCHEN/DINING - The main level is completely open with great room, kitchen/dining and doors opening to a large deck to enjoy expansive mountain views. 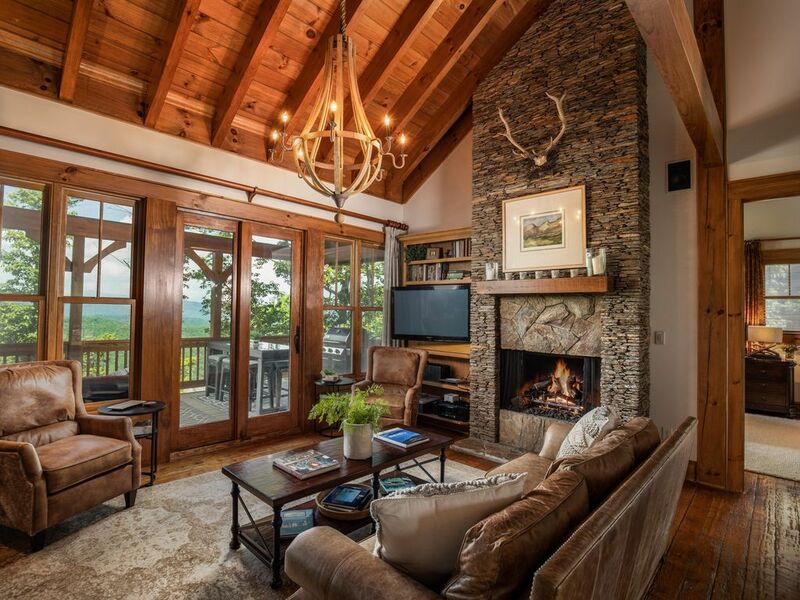 The great room is perfect for relaxing with leather sofa, two story stone gas fireplace and large flat screen TV with stereo, Sonos connection and in-wall speakers. 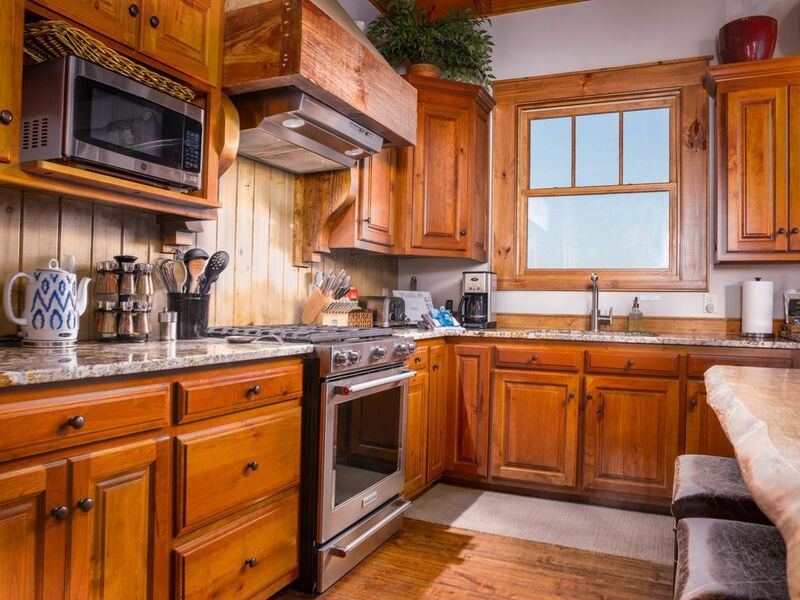 The kitchen includes commercial grade appliances, granite countertops, custom cabinets, timber ceiling and everything you would need to create memorable meals and dining experiences, from glassware, to professional cookware to kitchen gadgets, nothing has been left out. Dining table accommodates up to 8. On the deck is a Webber gas grill. DUAL MASTER SUITES - Each luxury master suite features a pillow-top king bed, hand-scraped hardwood floors, authentic trim and luxury furnishings to create a look only found in the finest of custom resort homes. 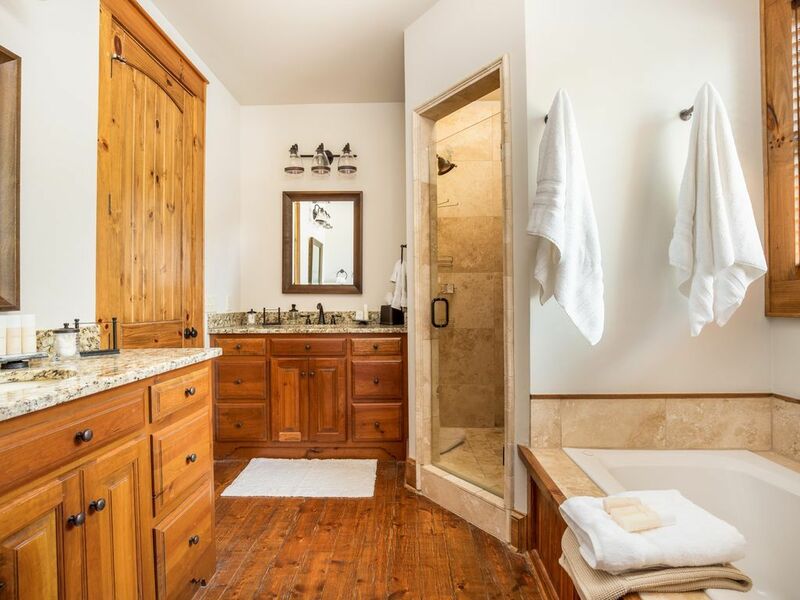 With separate bath, jetted tub, limestone shower, dual granite counter vanities and walk-in closet as well as incredible mountain views. Fine linens, down bedding, feather pillows and fluffy towels will all make you feel pampered. With dual master suites, one on the main level and one on lower level, you no longer need to decide who gets the best room, when traveling with another couple! FLEXIBILE GUEST SUITE & BONUS QUARTERS - The third bedroom, located on the lower level, is a flexible guest suite with in-suite bath. With two twin XL beds, it is perfect for kids or another couple by converting into a king bed. With the same luxurious amenities as found in the master suites, this guest room is remarkably special. For sleeping two extra guests, there is a “captain’s quarters” berth, which features a full size bed in a cozy private retreat. Inspired by a luxury yacht’s guest quarters, this space is perfect for kids and will be a memorable fun experience. GAME ROOM - The garage has been transformed into an incredible game room. With foosball table, authentic pinball machine, game table to seat four, and 55' TV with Netflix, Hula Plus and Pandora subscriptions, fun is just four steps from the main home, but separate enough to keep noise from the main living areas - a kids or adults play room! 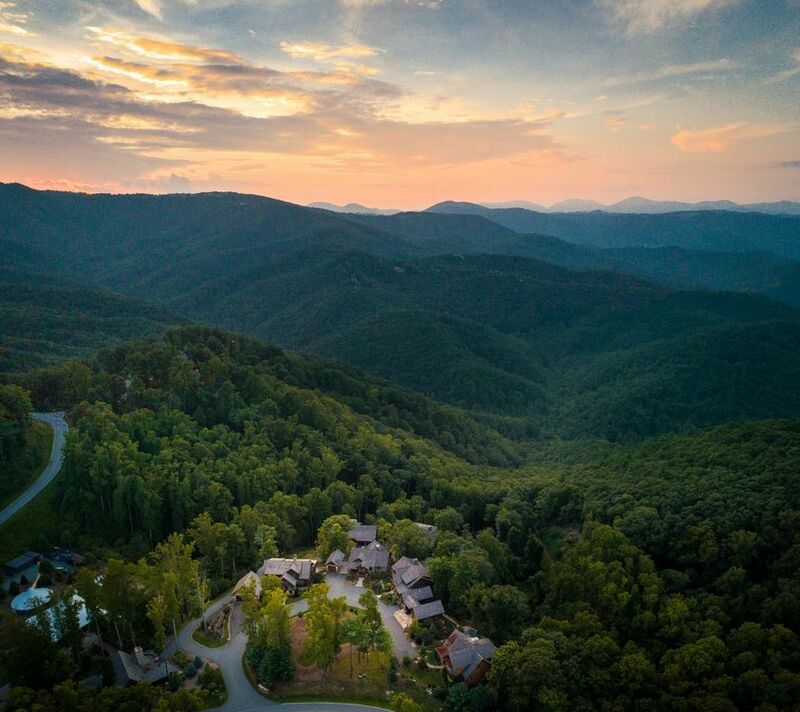 ABOUT BLUE RIDGE MOUNTAIN CLUB COMMUNITY - Blue Ridge Mountain Club includes over 6,212 acres of river valleys, creek beds, waterfalls, swimming holes, carriage trails, and stunning natural terrain. Built atop two of the highest ridgelines, giving more views than any community. The newly opened Fitness Club is available to any guest, at a $10 daily fee, for use of all equipment and facilities. Additional services (classes, massage, etc.) are available on an additional fee basis. Also newly opened is the Jasper Grill, in the main Clubhouse. The grill offers dining for Fri-Sun, or cocktails with an incredible location and view! Located just a short 5 minute walk from the house, or quick drive, you will love working out with the long-range mountain views right in front of you! Walk out the front door to hike along miles of cut trails, including challenging natural trails leading to the 'Blue Hole' a water-fall ending into a natural swimming hole. Or take a long hike along the wide gravel paths with soaring views. No need to drive off property to enjoy the best in hiking and natural beauty, it is truly right off your steps. 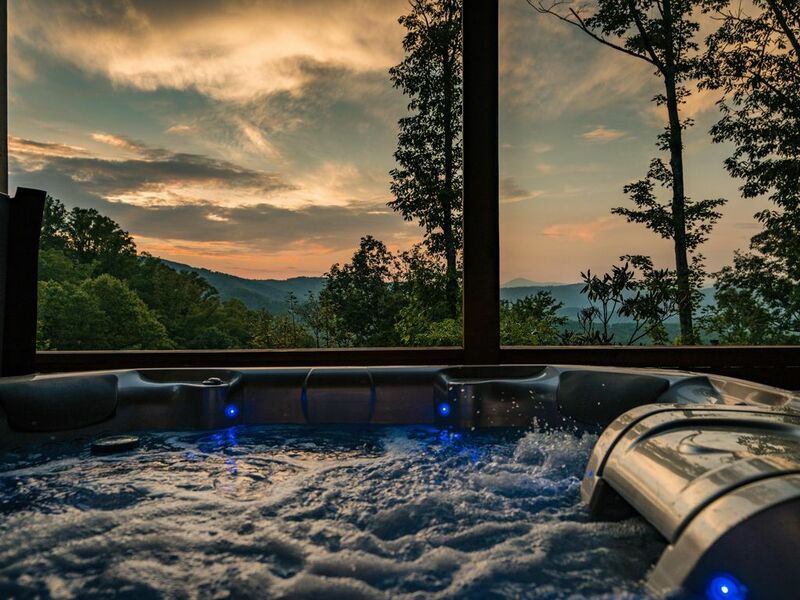 This amenity of Blue Ridge Mountain Club is yours to enjoy. Encompassing Banner Elk, Linville, Blowing Rock, and Boone, as well as numerous natural attractions like Linville Falls, the Blue Ridge Parkway, and Grandfather Mountain, the High Country’s appeal has always been twofold: spectacular nature and gorgeous weather. 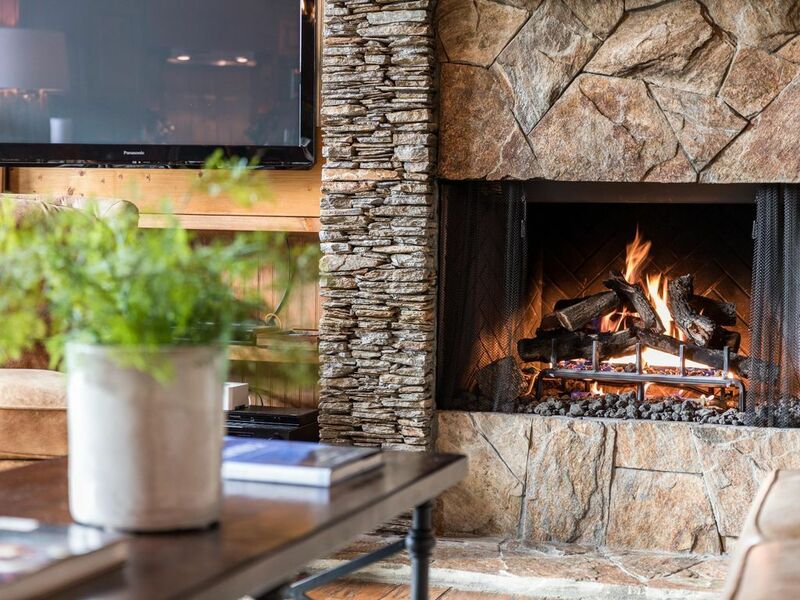 Located at the crossroads to its most celebrated destinations, equidistant from Blowing Rock’s charm and Boone’s conveniences, Blue Ridge Mountain Club is perfectly placed to enjoy the absolute best of the High Country. 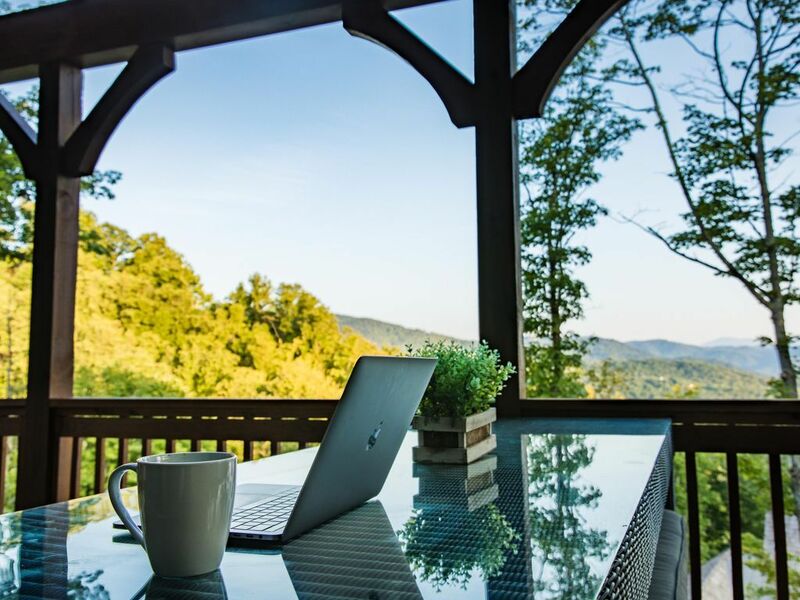 Show-stopping views are the hallmark of Blue Ridge Mountain Club, giving guests the feeling of living along the Blue Ridge Parkway itself. 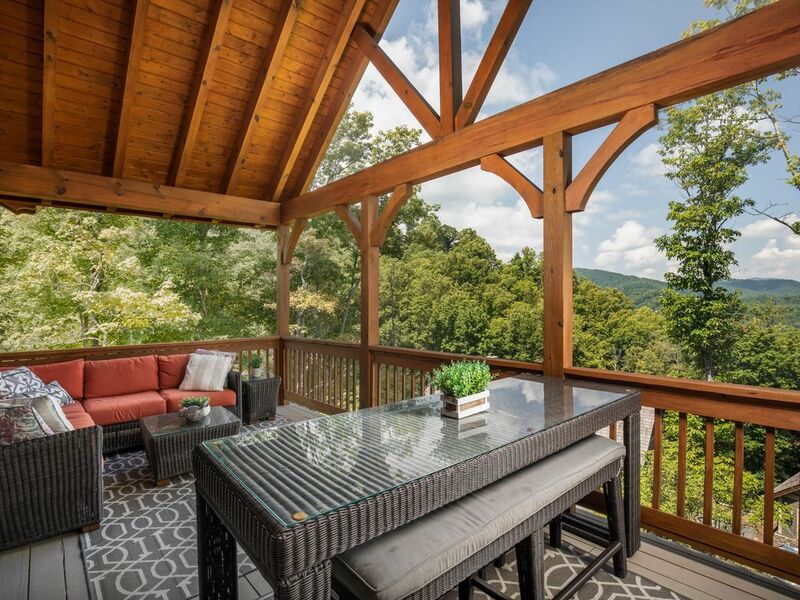 Built atop some of the highest ridgelines in the Blue Ridge, sweeping panoramas of distant peaks and the lush, cloud-cradling valleys resting below begin the moment you enter the property and continue throughout each neighborhood. 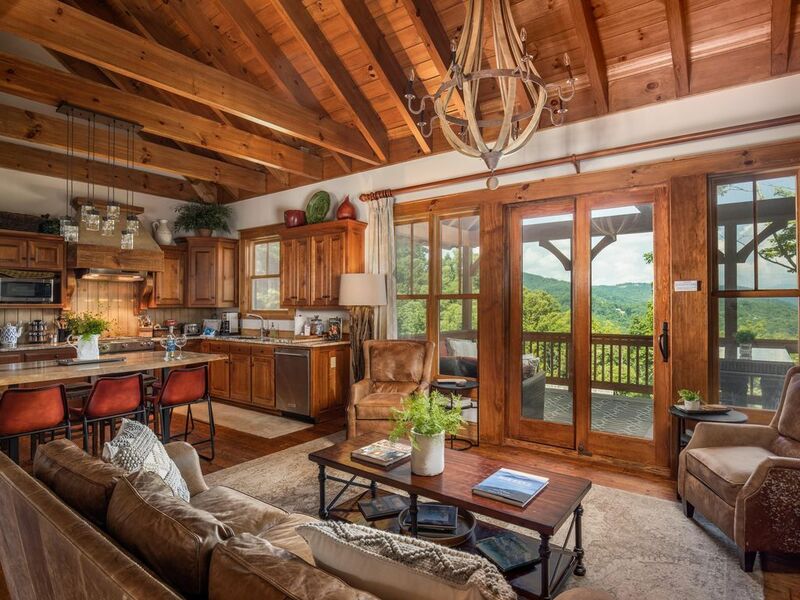 For generations, families have traveled to this quaint, special place in the high country to enjoy the slower pace of life and friendly atmosphere. Continually voted “prettiest small town in America,” Blowing Rock is Blue Ridge Mountain Club’s sister community. Daily - Fitness Club. Start each day with an inspiring workout at the new Ascent Wellness and Fitness Center. Just a short walk from the cottage, this is a state of the art fitness center, located atop a mountain ridge with amazing views! Day 1 - Relax and enjoy the views after your arrival. Have cocktails on the deck overlooking the incredible view of the mountains, or hop in the hot tub to unwind. Day 2 - Arise after a wonderful night's sleep in the most comfortable bedding you will find. Plan a day for a hike, just outside the front door and down to the Blue Hole. Pack a lunch and enjoy a picnic by the waterfall and jump in the Blue Hole to cool off, if the temps are warm. 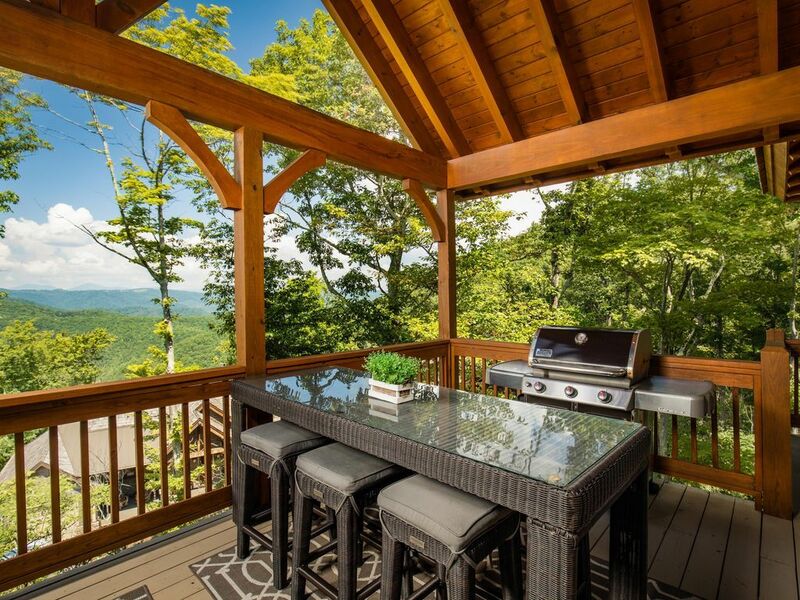 Enjoy a grilled dinner alfresco on the deck, or pop into Blowing Rock for an incredible meal at Bistro Roca, Inn at Ragged Garden, or New Public House. Day 3 - Explore Blowing Rock, Golf/Ski. Either spend the day shopping through the quaint stores or Tanger Outlet and enjoy lunch out, or for the golfers in the group, hit the links at the Boone Golf Club. If it is winter, hit the slopes at one of three different ski resorts close by for sking, snowboarding, tubing or ice skating. Day 4 - Adventure Day. Take a white-water rafting trip for the entire family - not too challenging but filled with excitement. Or, travel to Asheville to tour the Biltmore Estate - just two hours away. Day 5 - Wine, Spa or Railroads...For the adult group, choose from one of many wineries to tour. Start with the Grandfather Mountain winery, or Banner Elk Vineyard. Or spend the day at the Westglow Spa in Blowing Rock and pamper yourself. For the kids in the group, head to Tweetsie Railroad for a day of old wild west fun! High Gravity Adventures Park, located at Tweetsie is also an incredible day of fun and challenge for all. Day 6 - Hit the Trail. Pack a picnic and set off outside your front door to hike the Dugger Creek trail, through rivers, waterfalls and incredible views. 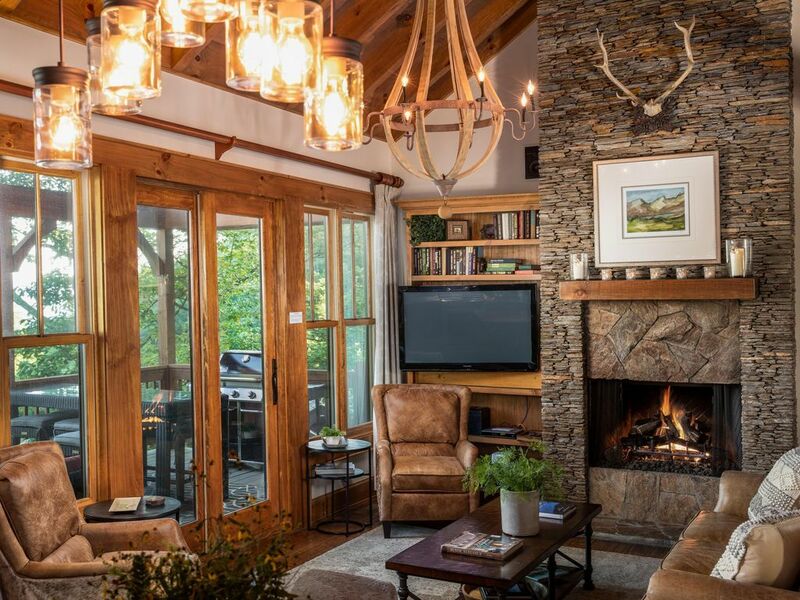 Exploring the thousands of acres of Blue Ridge Mountain Club is calling you outside. If horseback riding is your desire, hit the trails with a guided trail ride. Rainy day? Drive the Blue Ridge Parkway just 15 minutes to the Moses Cone Estate to tour and step back in time. Day 7 - Explore Boone. Enjoy the shopping, restaurants and college life experience in the charming town of Boone. Mast General Store is a must stop. Or, if more hiking and outdoor time is calling, head to Grandfather Mountain to walk across the swinging bridge. This is our third stay at Bill and Terri's lovely mountain home. I brought several girlfriends this trip and all were stunned by the view and beautiful, warm furnishings. There were a few minor repairs/missing items that Bill took care of immediately and the only disappointment was a non working fireplace on the main floor. Overall, again, a wonderful experience and can't wait to come back again next year. Thank you! Perfect property for our wedding party. Thank you for thinking of everything. This mountain home was absolutely perfect for our family! We were traveling with elderly parents (entry on main floor that includes primary living space and a master bedroom) and two teen boys (with the bonus full size bed, plus a third king room, they both had their own space, plus the game room is over the top!) The 2nd master downstairs gave my husband and I our own luxurious suite. The views from porches are amazing. 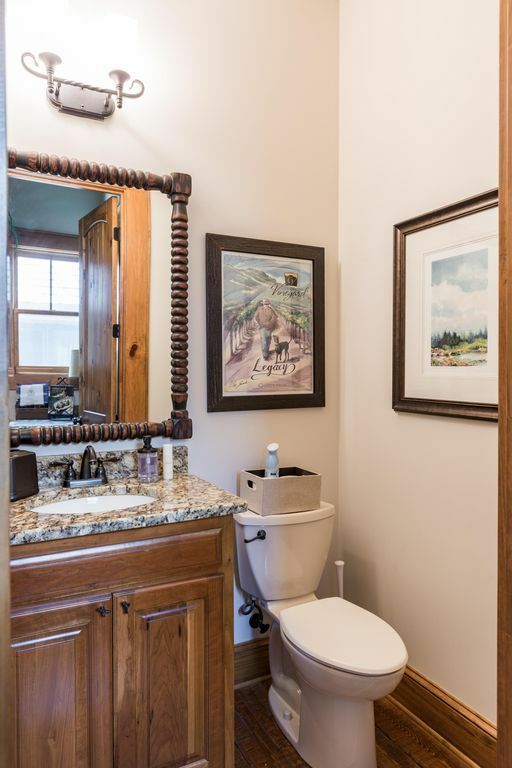 It is beautifully decorated, and the owners have considered every detail; we were so impressed. I'd be happy to live there! BRMC is also a great destination. We enjoyed the hiking trails, the grill at the club, and the exercise facility. It is close to Boone and Blowing Rock, and the views on the drive there are phenomenal. I hope the owners are able to enjoy it themselves often! Thank you for sharing your home with us! Bill Saint Show Phone No.